A session earlier this week at Sydney’s Bronte beach proved that surfing is perhaps still the world’s greatest equaliser. With light offshore winds and five feet of clean swell, conditions were buttery with the occasional lump twisting into a barrel over Bronte’s famously fragmented reef. Deprived of swell for much of autumn the nine to five grinders were running late for work while they jostled with the resident semi-retired surf team who have devoted their latter lives to riding Bronte reef. Into this fray of morning frothers, semi pros and older Bronte Reef specialists paddled none other than Andrew ‘Joey’ Johns­. Apparently Johns had recently acquired a Bronte apartment just down the road from the mansion Lachlan Murdoch once lived in. 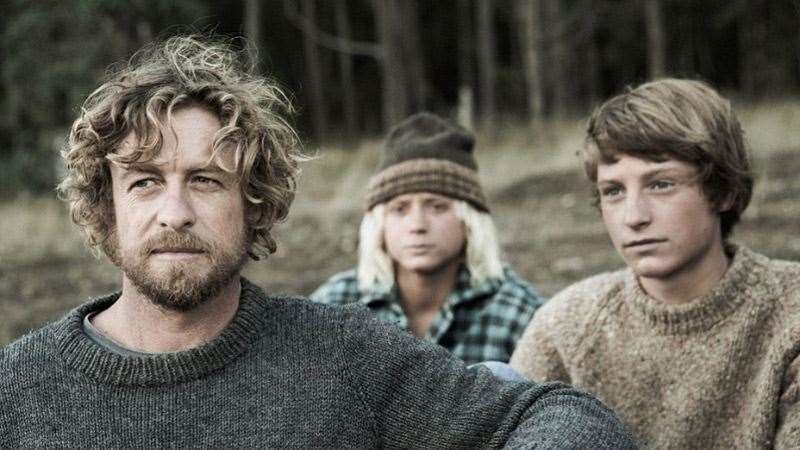 Coincidentally he was soon joined in the lineup by actor/director, Simon Baker, fresh off the set of Tim Winton’s Breath. are fiercely protective of their patch of submerged rock and although most were soon savvy to Joey’s presence in the lineup, they certainly weren’t giving him an open invitation to the coveted inside slot. Nor were the city grinders intent on doing Joey any favours. A wave before work is priceless, even if it means hustling someone who might be a hero in another context. Local status counts for much in surfing but celebrity status carries little weight. “Shouldn’t everybody be at work by now?” cried Joey out loud, hoping in vain for an easier shot at a wave. To his credit he summed up the situation and like a good five eight stayed busy looking for gaps in the lineup. Paddling out I watched Johnsy fly down the line on a grunty, three-foot right, revelling in every moment of his hard-earned ride. When Johnsy walked back around to jump off behind the pool, one of the more senior locals, who is known affectionately as The Colonel because of his resemblance to the KFC icon, politely pointed out where to jump off the rocks and what to avoid. However, the Colonel didn’t wait around for Johnsy to jump with him. There were too many good waves to be caught so he left Joey to fend for himself on a jump off that has ripped off more bark than a tree-lopper’s saw, over the years. “Johnsy needed a bit of advice with the jump off,” cackled The Colonel as he reclaimed his frontline spot amongst the good old boys. Calling on his agility, Johnsy survived the rock dance unscathed and re-joined the queue in the lineup at his new local. Meanwhile Baker, a former teenage surfing prodigy, had just returned from WA where he is directing and starring in the movie version of Tim Winton’s Breath. In the movie he plays a former pro surfer who becomes a guru figure for two grommets. According to Baker, while waves ravaged The Right they’d been filming and surfing nearby bombies on single fins. He has Heath Joske is acting as his surfing stunt double for the really heavy moments. While it made for interesting, between-wave chatter, Baker’s theatrical ambitions meant little to the Bronte lineup who had barrels on the brain. Like Johns, Baker had to take up his place at the back of the pack; a surfer at heart he happily complied. Simon Baker as the character of Sando in Breath. Baker will also direct the film which is based on Tim Winton's award winning novel. Every surfing beach has its own unique pecking order that is in a constant state of flux, depending on who’s in the lineup and what’s happening with the waves at the time. One of the greatest things about surfing is that once you paddle out the systems and hierarchies that govern life on land cease to have meaning. The ocean and those who commit their lives to it have a way of humbling anyone who thinks differently.